I received these items complimentary in order to facilitate my review. All content and opinions are entirely my own. This post may contain affiliate links. See our Disclosure Statement for more information. I have just recently learned of the company Georgie Beauty! They carry a line of false eye lashes as well as some cosmetics. if you are new to using false eyelashes, or a seasoned pro, check out this Georgie Beauty Eyelashes Review to see if they will work for you! The only time I have ever worn false eyelashes was a year and a half ago at my best friends wedding. I was 3 weeks postpartum, sleep deprived, and my makeup was done terribly (by a professional!). But, I did see how effective false lashes can be! 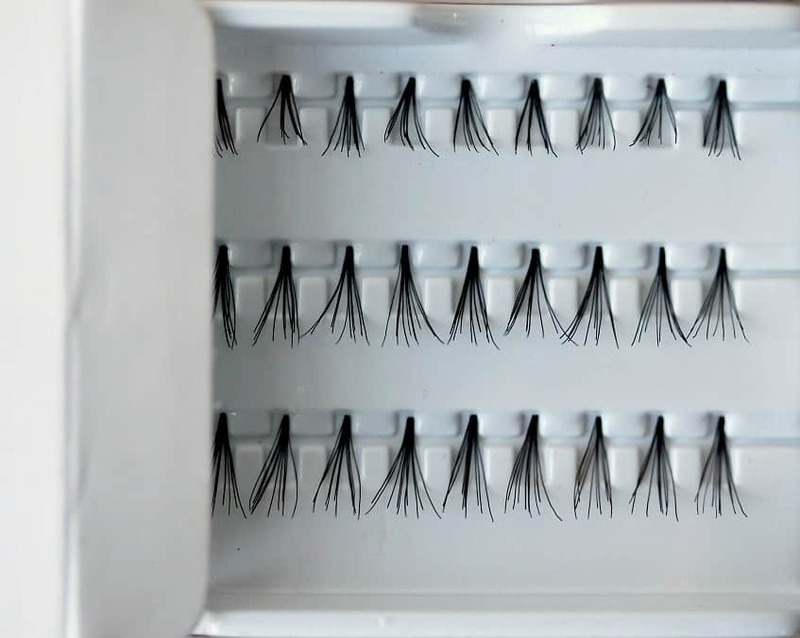 I have long lashes naturally but they definitely seem like they are getting less full. I opted to try the Georgie Beauty faux lashes in the style No. 9 Belle, as well as the clear adhesive. I have never applied false lashes myself, so I thought that if I really messed up, the clear adhesive wouldn’t be visible! I have on only one layer of mascara and no other make up. I applied 4 wisps to fill in the areas where my lashes are more sparse. I used the medium length lashes to add a little more length as well. You can see some of the adhesive that hadn’t dried yet, but it did eventually turn clear. I really love these lashes! They look so natural! I think with a little practice I should be able to apply them better (and with less adhesive!) and already think I am not going to want to leave home without them! Georgie Beauty also carries some cosmetics! 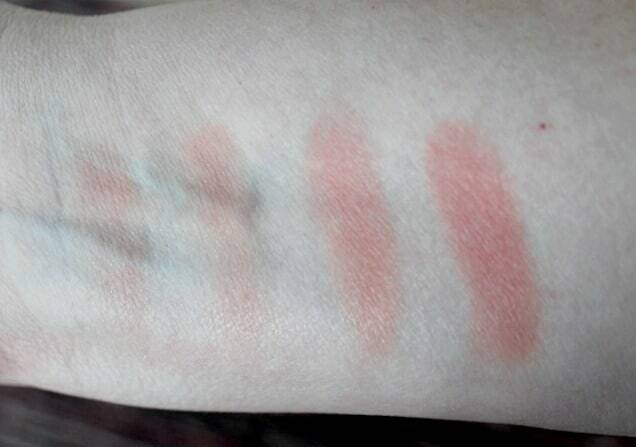 I have about 4 different blushes in my cosmetics box but my favorite coral shade ran out last month. 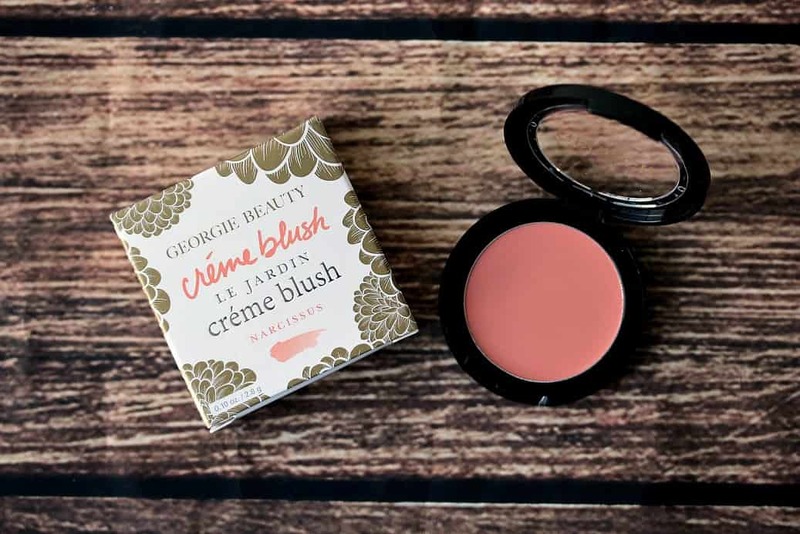 I decided to give the Georgie Beauty Creme Blush a try. I chose the color Narcissus since it most resembles my favorite shade. This is a buildable blush so you can easily use a little for a very sheer color, or add more for a more vibrant pop of color. I used 1, 2, 3, and 4 layers in the photo below. I love having the ability to layer the color so I can use less in the winter when my skin is paler, and add more in the summer when I have tanner skin. 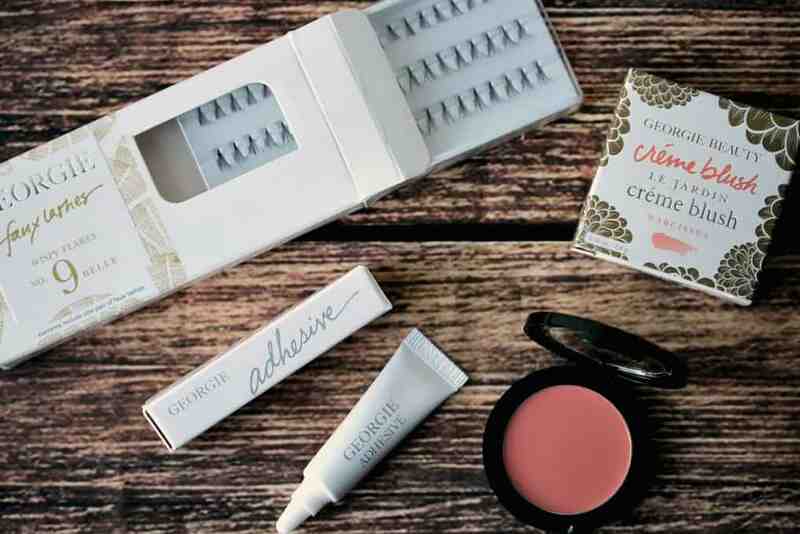 If you are new to false lashes or have some experience, I highly recommend checking out the Georgie Beauty website. You will also find more information about their entire line of cosmetics products as well!